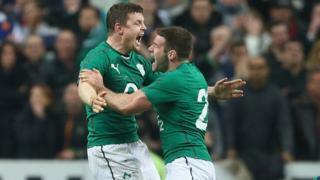 Ireland beat France 22-20 in a tense encounter to win the 2104 Six Nations title in Brian O'Driscoll's final international match. Tries from Jonny Sexton and Andrew Trimble put Ireland 12-6 up after France had claimed an early lead, before Brice Dulin crossed the line to give the hosts a one-point lead at half-time. 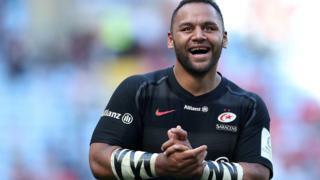 Sexton's try, conversion and a penalty gave Ireland some breathing space and after Dimitri Szarzewski went over to set up a tense finale Ireland managed to hold on. Ireland host France on Saturday (17:00 GMT) in their second match of this year's Six Nations.